Macbeth is a blood-drenched, gory and spooky tale. 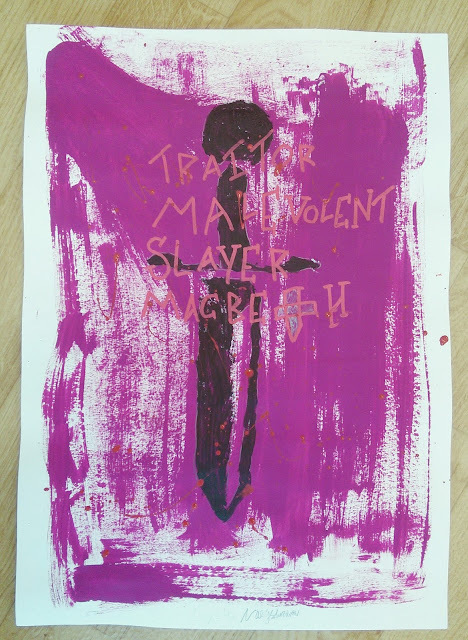 Too gruesome for little ones? Apparently not! 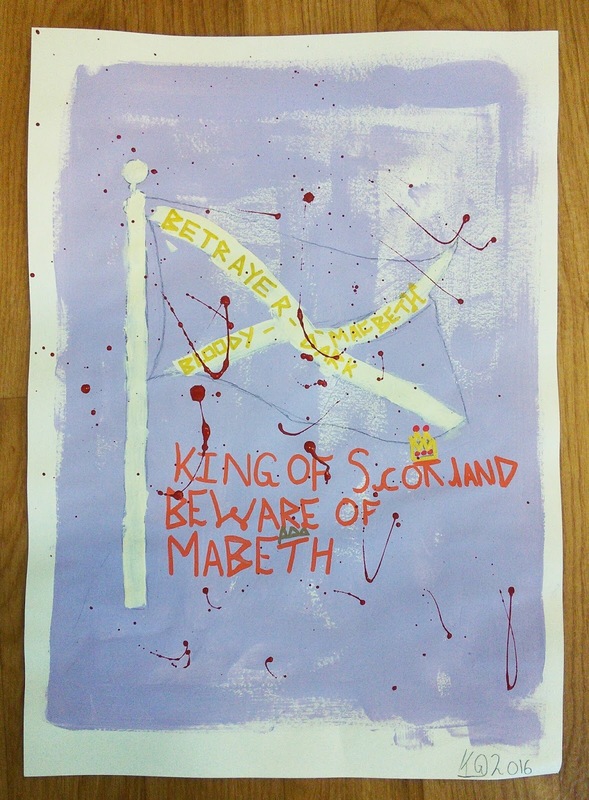 The Year 4 and 5 children I have been working with this half term have become completely immersed in the Scottish play. 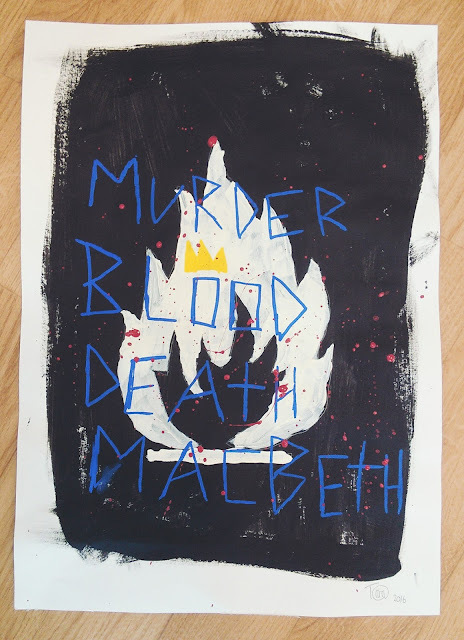 As well as getting the children to write short playscripts, developing the climactic showdown between Macbeth and Macduff (more on this at a later date), my groups have designed some concept posters for the play. 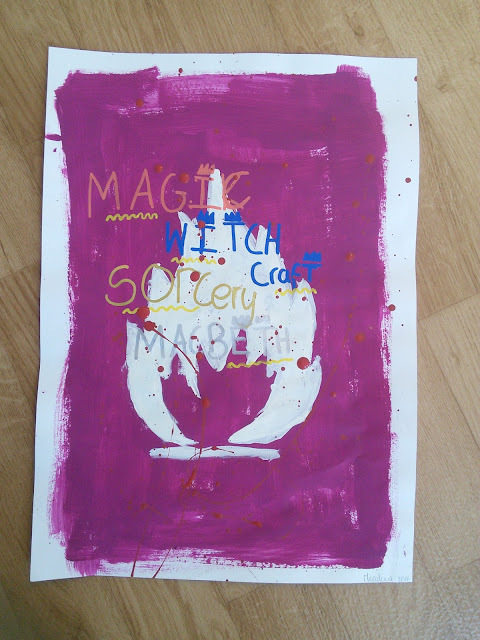 The children chose a colour and symbol that represented some aspect of the play (bloody red, royal purple, a black cat for the witches, a chess piece for the king) and overlayed it with words that help tell the story. 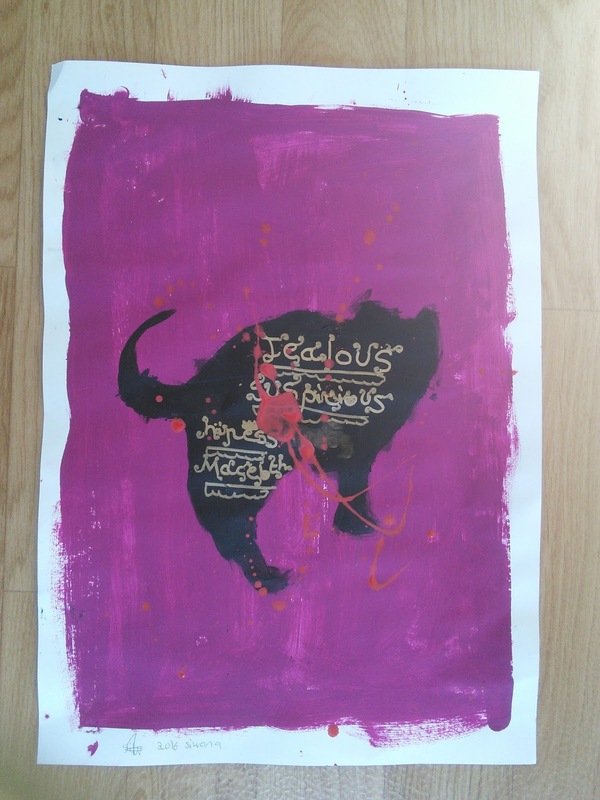 We used emulsion paint and big worn-out brushes (the ones at the back of the cupboard that nobody uses...) to achieve a battle-worn, scratchy effect. 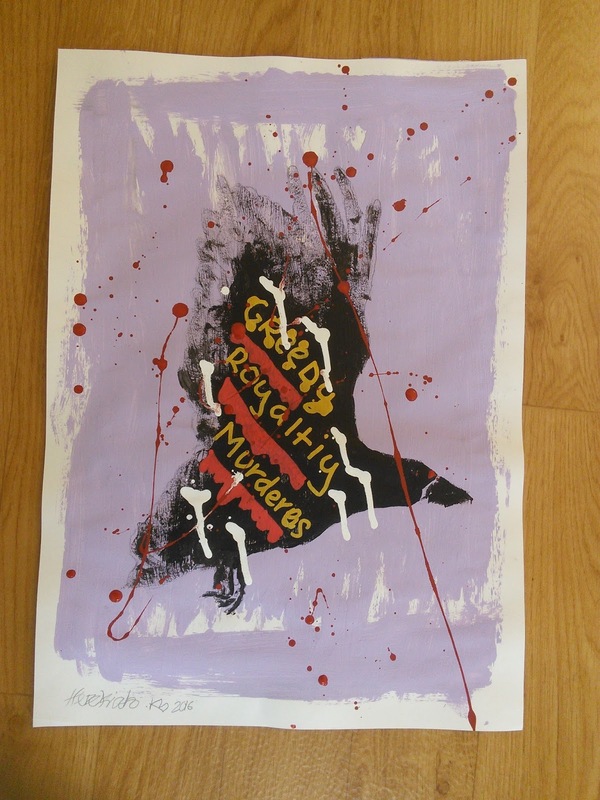 Gory blood splatters went down a treat too! Here are some fine examples! Royal Shakespeare Company, take note!